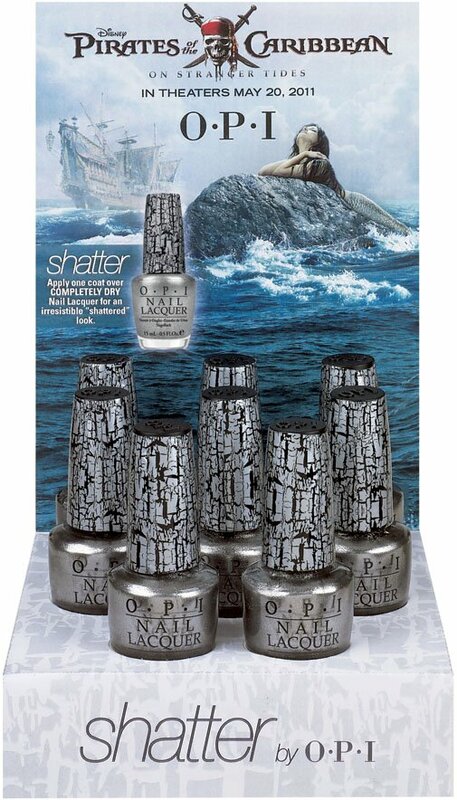 Adventures in OPI: The Search for Silver Shatter – Sooo Fabulous! Word from the Cannes Film Festival has been that the newest installment of Pirates of the Caribbean is a sinking disaster. But on-screen failure or not, there’s at least one standout success from the film: its OPI collection. Sooo Fabulous! has fallen madly in love with the silver shatter, which kept fans of the brand eagerly waiting for its arrival after a blowout debut of the black version. Check out this video that tracks Sooo Fabulous! searching Barbados for a bottle of the summery hue, which added instant wow to a creamy pastel pink.